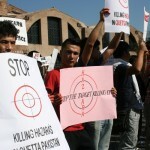 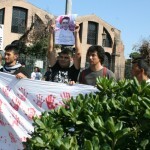 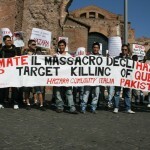 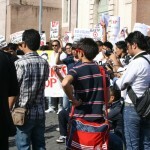 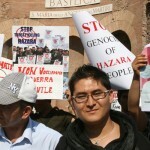 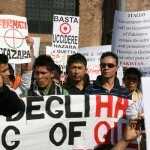 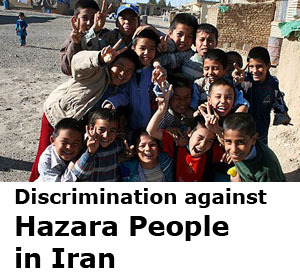 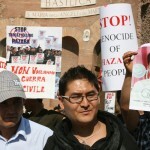 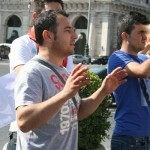 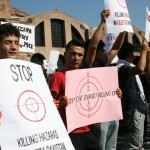 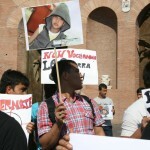 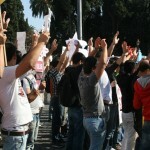 Hundreds of Hazaras in Italy have protested on Saturday October 1st 2011 against injustice and target killing of the Hazaras in Pakistan and Afghanistan. 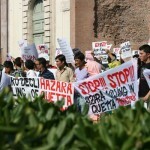 The rally took three hours and the protestors came on the roads to ask for peace, security and justice for the victim Hazaras in Quetta Pakistan and in Afghanistan. 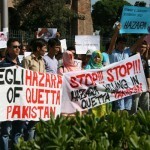 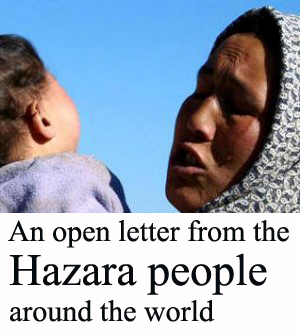 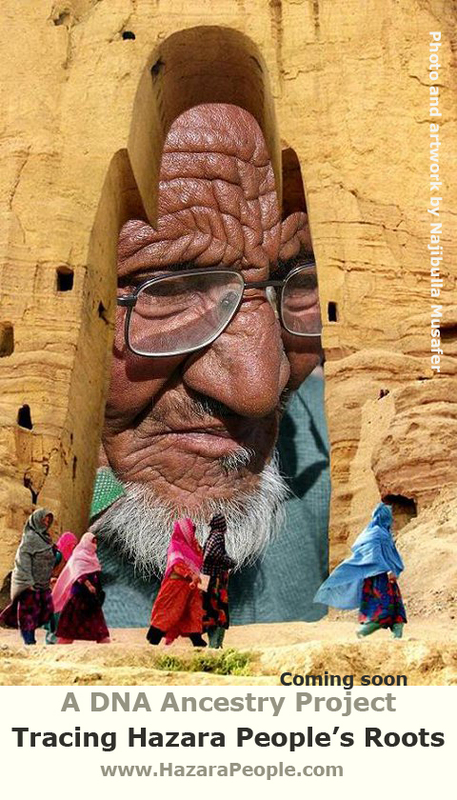 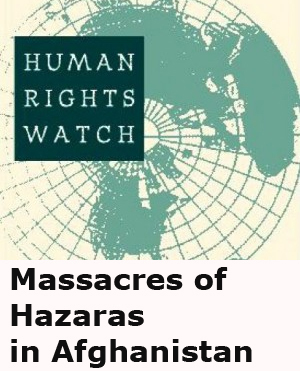 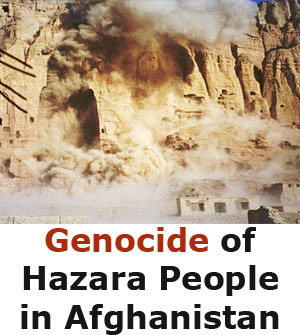 Within only a couple of months, more than two hundred Hazara civilians are being targeted by the extremists and terrorists in Quetta. 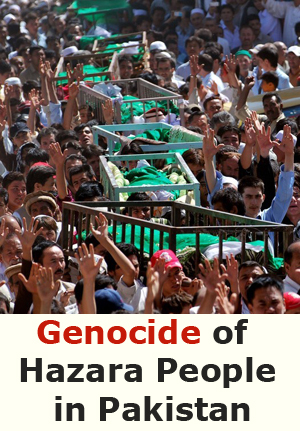 The latest cases were, the suicide bombing on a religious prayer on August 31 in which more than 22 people were killed, and the terrorist attack on a coach of the workers and pilgrims on the way of Quetta – Mastung in late September in which all 30 Hazaras were taken out of the coach and were being shot with a machine guns. 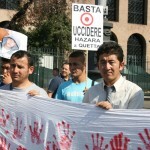 The Call For the 1st October as a protest day against injustice and target- killing of Hazaras was launched by HDP (Hazara Democratic Party) and thousands of Hazaras in all our the world have welcomed it and participated it in the protests. 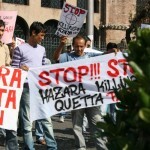 The protest took place in four continents of the world; North America, Europe, Australia and Asia aiming to show solidarity with the Hazara victims in Quetta and to reach their voice to the International Community. 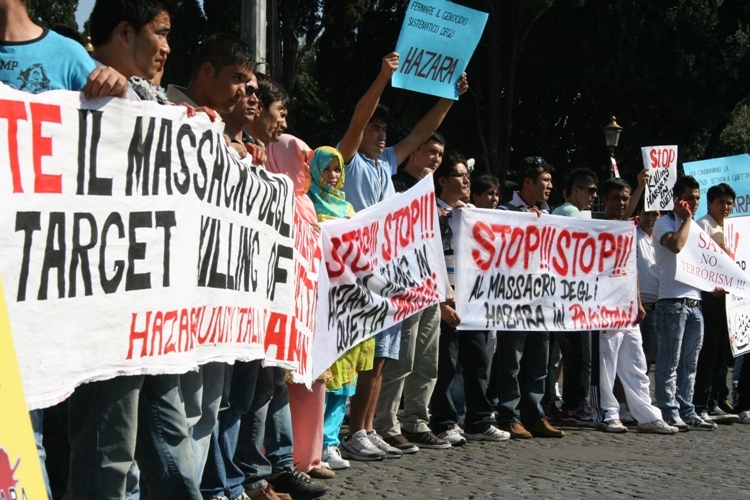 Adelaide in Australia, Ankara in Turkey, Brisbane in Australia, Gothenburg in Sweden, Hamburg in Germany, Islamabad in Pakistan, Istanbul in Turkey, Jakarta in Indonesia, Karachi in Pakistan, Malmo in Sweden, Melbourne in Australia, Munich in Germany, New York in the USA, Oslo in Norway, Perth in Australia, Quetta in Pakistan, Stockholm in Sweden, Sydney in Australia, Toronto- Canada, Trondheim in Norway and Vienna in Austria, were the cities in which the Hazaras had their rallies asking for justice and an end to the target killing of the Hazaras.